John Farahi has been Co-Chairman of the Board, Chief Executive Officer, and Chief Operating Officer of the Company since its inception, and of Golden Road since June 1993. From 1973 until June 1993, Mr. Farahi was President, Director, and General Manager of Golden Road. Mr. Farahi is a partner in Farahi Investment Company ("FIC") which is engaged in real estate investment and development. Mr. Farahi served on the Washoe County Airport Authority as a Trustee from July 1997 until June 2005. Mr. Farahi is a former member of the Nevada Commission on Tourism and is presently a Board Member of the Reno-Sparks Convention and Visitors' Authority. Mr. Farahi holds a political science degree from the California State University, Hayward. David Farahi has been Chief Operating Officer since April of 2012. Mr. Farahi most recently held the positions of Executive Director of Gaming Operations and Director of Investor Relations for Monarch. Mr. Farahi began his gaming and hospitality career in 1998. He has extensive experience in over a dozen positions at Atlantis Casino Resort Spa. From 2004 to 2006, Mr. Farahi held finance positions with HSBC Bank plc in their New York, London and Geneva offices, in both the investment and private banking divisions. Mr. Farahi is currently serving in his second term as the President of the Colorado Gaming Association. Mr. Farahi holds an MBA from Columbia Business School with concentrations in both Real Estate and Finance and holds a BA in Economics and International Studies from Northwestern University. Darlyne Sullivan has been the Chief Product and Service Officer since 2015. Ms. Sullivan most recently held the position of General Manager of Atlantis since February 2006. From June 1993 until 2004, Mrs. Sullivan held the positions of Executive Vice President of Operations, Vice President of Sales and Marketing and Assistant General Manager of Atlantis. Mrs. Sullivan has held positions including Assistant General Manager/Director of Sales and Marketing, Reservations and Sales Manager, Front Desk Manager, Hotel Manager and Assistant Hotel Manager for Atlantis from May 1977 through June 1993. 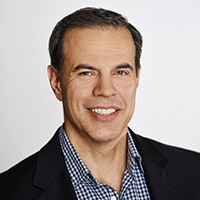 Lou Dorn joined Monarch as its Chief Legal Officer in March 2018. Lou previously served as the General Counsel and Chief Compliance Officer for Las Vegas Resort Holdings, LLC, which owns the SLS Las Vegas, and Aliante Gaming, LLC, which owns the Aliante Casino & Hotel. From May 2004 to December 2011, Lou served as the General Counsel for Colony Resorts LVH Acquisitions, LLC, the former owner of the Las Vegas Hilton. Lou was previously an associate with the law firm of Snell & Wilmer L.L.P., where his practice was concentrated on business, finance and gaming matters. Lou is a former Chief of the Corporate Securities Division of the Nevada Gaming Control Board in Carson City. Prior to joining the Nevada Gaming Control Board, Lou served as a Deputy Attorney General for the State of Nevada, where he represented the Nevada Gaming Commission and the Nevada Gaming Control Board. Lou received his B.A. degree from the University of Nevada, Reno, and his juris doctorate degree from Lewis and Clark School of Law. Cheraz Ecker joined Atlantis Casino Resort Spa as General Manager in 2015. Ms. Ecker worked in several positions within Mirage Resorts - Golden Nugget, Las Vegas Sand’s -Venetian, Palazzo Casino Resorts and Marina Bay Sands, Singapore. After the unprecedented opening of Marina Bay Sands, Ms. Ecker joined Gaylord National Hotel & Convention Center in Washington, DC. Ms. Ecker was instrumental in leading the successful merger of all Gaylord properties with Marriott. Most recently, Ms. Ecker was the General Manager for Loews Madison Hotel. Ms. Ecker attended UNLV and graduated with honors majoring in hospitality and psychology. Ms. Ecker is a member of SKAL International and several hospitality organizations. Ms. Ecker joined the board of directors for the Nevada Hotel Lodging Association and was recently awarded Hotelier of the Year. Craig Pleva has been General Manager of Monarch Casino Black Hawk since July of 2014. Mr. Pleva most recently held the positions of Director of Casino Marketing and Assistant Director of Slot Operations for the Atlantis Casino Resort Spa. Mr. Pleva initiated his gaming and hospitality career in 1997 and started at Atlantis as Casino Shift Manager in 2005. Mr. Pleva holds a BA in Finance from Bryant University. All NASDAQ links open a new window to nasdaq.com. Monarch is not responsible for content on nasdaq.com. Welcome to Monarch Casino & Resort, Inc. If you are 21 years of age and older we invite you to explore our website. © 2019 Monarch Casino & Resort, Inc. The use of this website is governed by NV law.